I write about music & new music releases & surfing. In 2014, the Pangeaseed Foundation launched a program focused on educating people on the ways we can all contribute to saving our oceans. 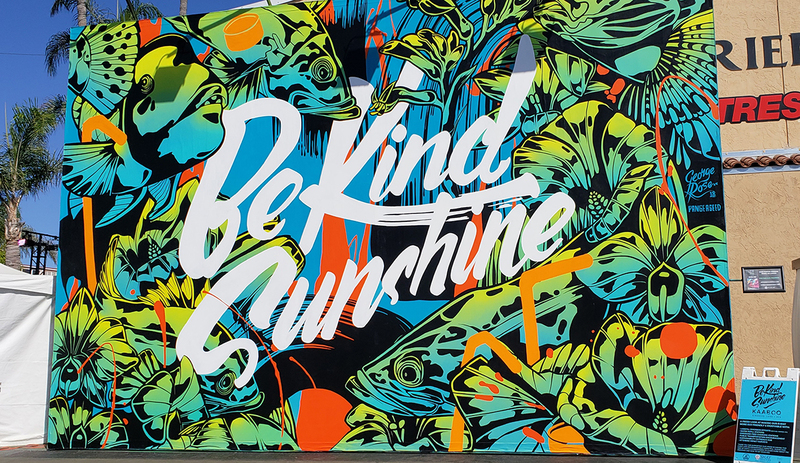 Sea Walls became an opportunity for artists to share messages of sustainability, ecology, and design by painting public murals all over the world and spreading awareness of our impact on our constantly changing planet. I caught up with Akira Biondo, Director of Operations of Pangeaseed at the KAABOO Music Festival in Del Mar, California, who was speaking to many ocean lovers and surfers alike. “There are numerous ways people can get involved to help save our oceans and one of the ways Pangeaseed achieves this is through our ARTivism Sea Walls that are painted and raise awareness of our plight,” she says. By collaborating with a new growing community of nearly 300 contemporary artists, Pangeaseed has created over 300 murals in 13 countries around the world. Our oceans are Earth’s life support system, providing nearly 70 percent of the oxygen we breathe in our atmosphere. “Over a sixth of the animal protein people eat, medicines that keep us alive and healthy, and so much more, human impact in the form of overfishing, climate change, development, plastics, and other forms of pollution are taking a toll on the health of our seas. Unfortunately, these critical issues are often complex, multi-faceted and hard to understand for the average citizen,” Biondi adds. So through public art, Sea Walls has a huge opportunity to translate facts into visual stories to engage and bring awareness to people in a non-confrontational manner. For example, Melbourne-based artist George Rose started painting large-scale murals after abandoning her formal studies in traditional design to pursue her passion as a large-scale painter of radiant colors. Most recently, George has worked on projects for Instagram, Jansport, Mastercard, and even a recent blockbuster Star Wars film. When not working on commercial projects, she is usually traveling the world showing her street art on a global scale. Ernesto Maranje is a Chicago-born, Miami-raised artist out of Hialeah, a suburb in Miami predominately known as a Cuban community. Maranje’s career really started in 2011 while he was serving with the U.S. Coast Guard. His artwork depicts many animals that show a bond and unity between us all and reminds viewers of our connection with nature and with each other. 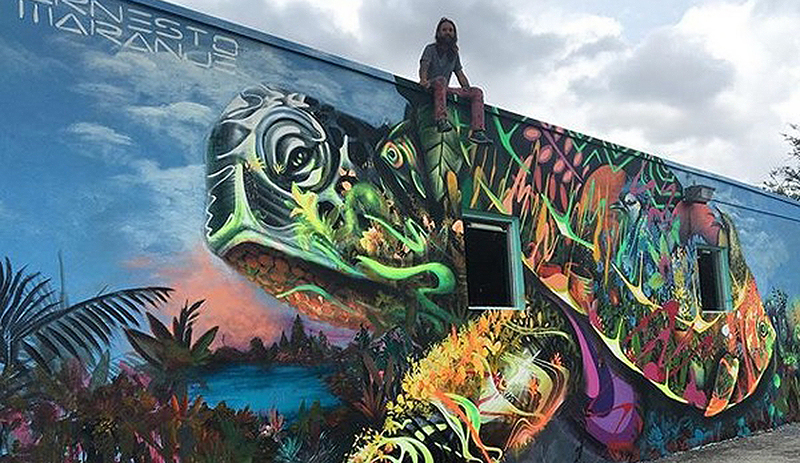 His message in his murals and illustrations shows why we should all strive to protect and conserve nature. Learn more about the Sea Walls art and activism program here.